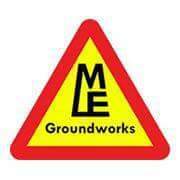 MLE Groundworks and Surfacing Ltd - Driveways/Patios/Paths, Fencing/Gates based in Northampton, Northamptonshire. MLE Groundworks & Surfacing LTD provide groundwork services & civil engineering solutions to domestic and commercial clients in & around Northamptonshire & across the uk. Established in 2014 we are a new friendly reliable company who are building our reputation on your satisfaction. We take pride in every job we do so if your looking for an experienced groundwork contractor to install a driveway/patio or any groundwork project we have all the expertise to complete works to a very high standard.